Frequent talks can strengthen a marriage. Effective communication skills in a marriage are vital to its success. Herbert G. Lingren, a family scientist with the University of Nebraska-Lincoln Cooperative Extension, states that, "Marriages are created, maintained and/or destroyed through effective communication." Empathy, trust and understanding are just a few of the many benefits of using listening skills within a marriage. Sitting down to a conversation with your spouse doesn't immediately constitute effective communication. The U.S. Department of State explores active listening on its website, defining the first step of active listening as seeking to understand before seeking to be understood. Not doing so is a common mistake made by couples who have trouble communicating. It is vital to approach a conflict or conversation with an open mind, rather than expecting your opinion to be heard and understood immediately. Both partners need to focus on what the other is saying, and reflect back that understanding to make sure the real message is being understood. When you are not actively listening, and your attention or focus wanders, it is more difficult to fully engage with each other. Verbally confirming concerns, expressing understanding and reiteration are keys to effective listening. Rather than passively agreeing with a steady nod or the occasional grunt of affirmation, be an active participant while talking with your spouse. Verbally confirming that you understand the issue and reiterating what your partner has said will not only be a soothing approach to resolution during a conversation -- because you are showing that you value your spouse and his opinion -- but it is also a sign that you recognize that the issues at hand are important and are being heard. A spouse isn't necessarily fishing for advice when expressing her concerns. Holding back your opinions or recommendations until they are requested is an important step to better listening. Simply being heard and understood is enough for some situations. 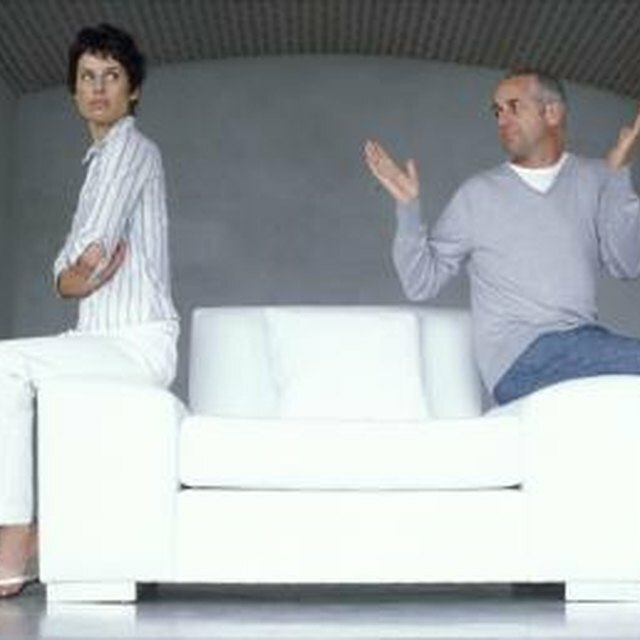 If an opinion is warranted, it should be offered with the concerned spouse's feelings in mind. Active listening includes looking beyond selfish concerns and being concerned with your spouse's needs. "Listen and learn," states William F. Doverspike, with the Georgia Psychological Association. Dr. Doverspike's strategies in the article, "How to Improve Your Listening Skills," stress the importance of not jumping to conclusions and developing a mental understanding of the issues at hand. It is sometimes difficult to cast personal opinions and thoughts aside, but in order to maintain good listening skills in marriage, it is vital to do so so that both partners feel heard and valued.